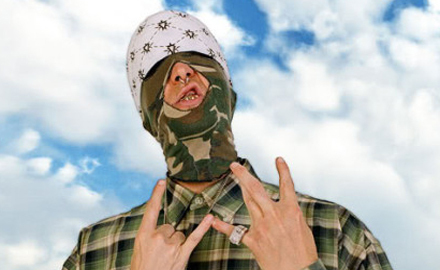 Following reports of a critical asthma attack this past weekend, former Kottonmouth Kings member and visual entertainer Patrick “Pakelika” Cochrun passed away on Saturday, August 11. The sad news is a massive hit to fans worldwide who first witnessed Pakelika’s talents as a touring member of the Kottonmouth Kings for many years including on the popular Strange Noize Tours with Tech N9ne and Strange Music. Pakelika’s patented hydro-mechanix dance style became a staple of every Kottonmouth Kings show and earned Pakelika the moniker of “The Visual Assassin”. Blessed with many gifts, Pakelika’s career in entertainment also included work in music videos, art, and even two albums. His influence spread far and wide, as he also became a vocal activist. Whether he was on stage blowing audiences away with his dancing or leading a righteous cause, it is clear that Pakelika had an impact on fans everywhere and he will be truly missed. In honor and tribute to Pakelika, the Kottonmouth Kings have dedicated their new video for “Mr. Cali Man” to him online at https://bit.ly/Ph8nlL. “Pakelika’s friends and family want us all to celebrate his life and memory. We are making plans now for an event to celebrate Pak’s life and to help raise money for his hospital bills. Details will be announced shortly, until then we ask that everyone light a candle at 4:20pm this week for our fallen brother and friend. This is a very sad time for us all, but let’s all take some time and remember Pak for the loving and caring person he was.” added Suburban Noize president Kevin Zinger. Strange Music remembers Patrick “Pakelika” Cochrun and we send our condolences to family and friends. youtube.com/watch?v=zX_Mg5… its gonna be like youre still here in my mind @pakelika10! love for life my nig! Condolences to my KMK FAMILY! We encourage all of our fans to leave comments of support for Pakelika and his family below.